Jim Van Horne was a jock's jock. Not only was the Toronto-born broadcaster a Top 40 jock on CHUM, he was also another kind of jock - a sports announcer. 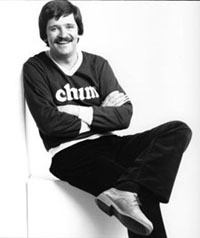 Van Horne came to CHUM in 1972 from CKMP Midland, Ont. (the same station former CHUM jock Michael Cranston had started his on-air career at nearly a decade before). During his first year at CHUM, Van Horne was named disc jockey of the year - the only time a Canadian jock has ever won the honour. After leaving CHUM in 1980, Van Horne became a different kind of jock - a sports jock. From 1980 to 1984 he hosted the late-night sportscast on CFAC, while also hosting the Calgary Flames NHL broadcasts. In 1984 he took over the sports anchor seat at just-launched TSN, Canada's first national all-sports television network. While at TSN, Van Horne covered many sports including hockey, golf, bowling, skiing, boxing, tennis, swimming and equestrian. Van Horne returned to CHUM in 2001, not to spin the hits, but to host a sports talk program. 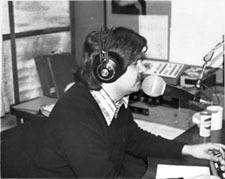 CHUM had just launched an all-sports format as The Team and Van Horne was one of the station's most recognizable personalities. Van Horne returned to sports anchoring at TSN rival Sportsnet after The Team was cancelled in 2002. Van Horne has gone on to become television co-ordinator at the College of Sports Media. He has also been the host of Champions of Conservation and Nature Bites on the Oasis HD channel and provides described video for the Toronto Blue Jays for AMI TV, which provides general entertainment programming for the visually or hearing impaired.